John McAfee makes another of his famous predictions, this time adventuring on a one-month time analysis for several events, including the behavior of various cryptocurrencies. Previously, McAfee became famous in the world of cryptocurrency for ensuring that by 2020 the price of BTC would reach one million dollars. John McAfee is also known in the world of blockchain as an important influencer and heavy supporter of global adoption of cryptomoney. Such is his reputation within the community that despite charging $105,000 per tweet to talk about a crypto, customers have not ceased and his followers remain attentive to their comments. It is also important to note that many of the cryptos that he promotes have gone on a bullish spree, confirming his predictions. In fact, according to his own statements, McAfee uses a number of algorithms that have not been wrong to date, so he remains confident that the results will be consistent with what was disclosed. John McAfee remains bullish on bitcoin in the short term, his 15k prediction for the end of the month seems to go against some technical indicators. Other notable predictions point towards a growth of more than 300% in some important altcoins like Golem and Eos, as well as a similar growth in other cryptos with a lower market cap like Bitcoin private, Docademic and Bezop. Another of the controversial predictions he presented included President Trump’s agenda of meetings in Asia, with dates for diplomatic activities with North Korea and the creation of a Gold-Backed US currency with Japan. 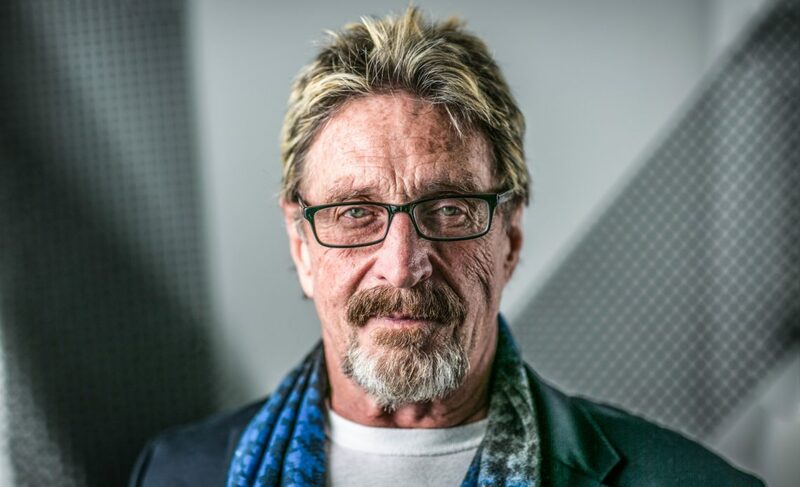 Mr. McAfee has decided to become an active participant in the privacy advocacy community. As an influential technologist, he has always found this topic particularly interesting. I have been asked by many of the 52,000+ supporters of BTCP to lead a crypticurrency privacy movement. Is this what my followers want? 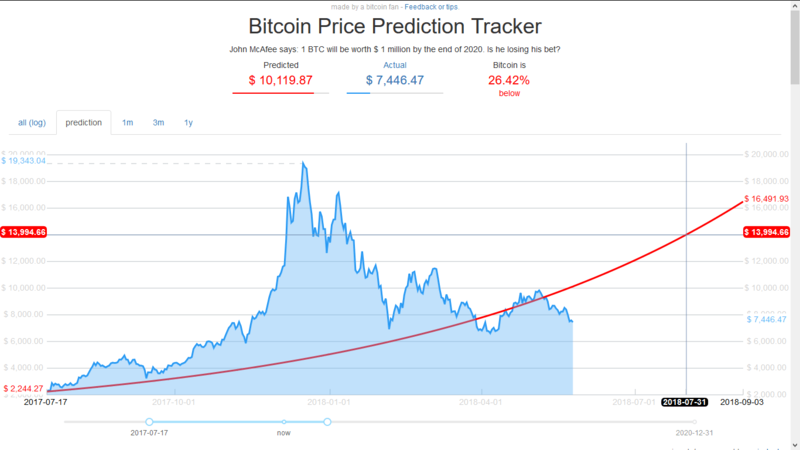 According to some websites that project the mathematical behavior of McAfee’s 2020 prediction, a 15k value by late June is even more ambitious than the expected target needed for reaching the million dollars with sustained growth.